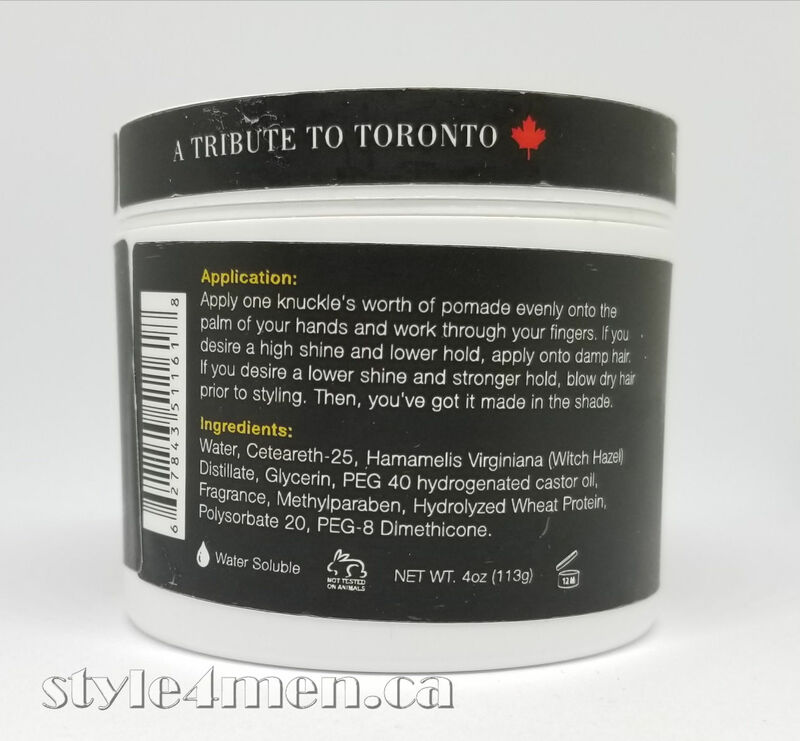 This pomade being produced in Toronto is very exciting to this reviewer as I get to try a “Canadian” product. So many pomades come from elsewhere that we almost forget that Canada can produce other things than lumber and electricity. 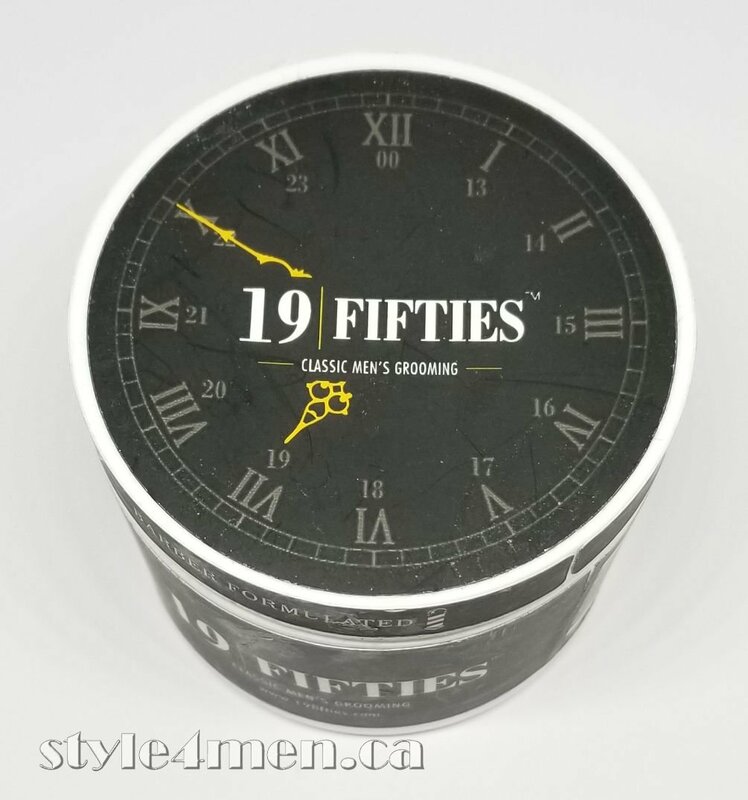 I like the marketing approach that has been taken for this pomade as it conveys: class, style and a time where an effort was made towards elegance. The fact that the branding is associating itself with a time of great Canadian accomplishments (Union Station and the Toronto Public Transit System) is also hard not to enjoy. The overall packaging is simple and tasteful. It does not feel “manufactured”. Plainly put, I liked the packaging as it succeeded in conveying the classy 50’s. We can say that the marketing objective was achieved. Upon opening the product I was pleased to find a clear jello like texture. Firm, but soft enough to work with. A perfect consistency in my opinion. Scent wise, it is very mild and discreet. So mild that I really can’t quite distinguish what perfume is being used. If anything I will go with “sweet” or sugary. This discreet scent will not clash with other scents you might be working with. I opted for the regular hold version and this is turning out to be exactly what I needed. I do a simple pompadour with the front mostly going up. It is holding very nicely and has dried just enough to be pleasant to the touch. Not sticky nor crispy. I am writing this review about 3 hours after application and it feels like this will work until the end of the day. 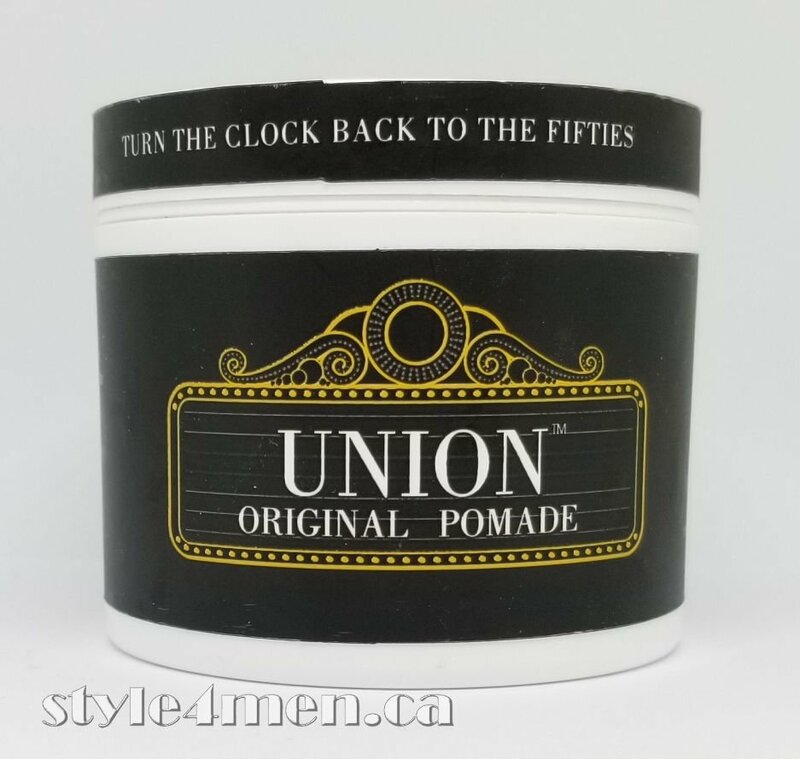 As far as pomades go, the 19 | fifties Union pomade is in my top 5. Easy to work with and doesn’t let you down! What more could we ask for?! In the coming weeks, I will aim to get a jar of their strong hold pomade.